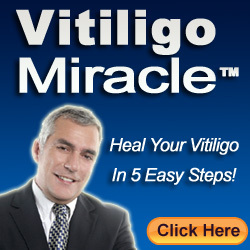 Vitiligo is a skin disorder wherein the affected person’s skin will exhibit white patches. The white patches are visible in some specific areas which are exposed to sunlight. Those common areas are the hands, legs, lips, mouth, face, and arms. These white patches will be irregular in shape and sometimes will start to spread to the entire body. If these white patches occur, then the hairs on them will become grey in color. Moreover, the eyebrows and the eyelashes will also turn grey due to these white patches. Vitiligo is caused by many factors, but the main reason is the loss of the pigment melanin. Melanin is the substance that provides color to the skin. If melanin does not work well or if it dies, then the skin begins to form white patches. This disorder can also stem from any damage to the skin. That is, if any injury is sustained on the skin, melanin will stop functioning well, leading to vitiligo. Have you ever noticed how a wound scar looks like? Apart from the texture that becomes different from the rest of the skin, it will no longer have the same color as the skin as well. Many people worry about this condition but there is little to worry about, as many treatments such as lotions and creams are now available for treating vitiligo. Many treatment methods like PUVA, narrowband UVB, and some surgical methods are done in order to treat this skin problem. However, there are some side effects associated with these medical and surgical treatments. People have come forward with their own choices of lotions and creams for treating vitiligo. One of the safest and most effective topical medications is ViTiX gel. This can be purchased from any drugstore without a prescription. It is made up of microspheres of a plant extract which has a lot of antioxidants. Application of this ViTiX gel helps melanin to be restored and soon as it functions properly, there is a great possibility that color will return to the skin. 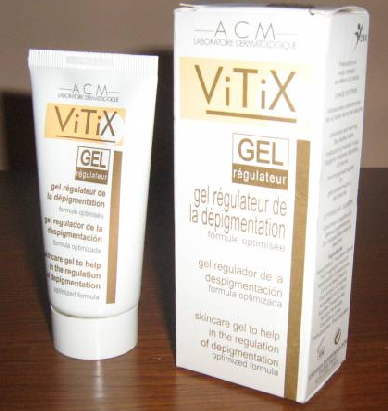 ViTiX gel is specially developed in order to regulate the depigmentation of the skin. ViTiX gel can be used along with the treatments using PUVA, UVB, and heliotherapy therapy. ViTiX gel has a mechanism in which the physiological balance of the free radicals is improved. This in turn will help in restoring health to the cells in the epidermis, thereby causing melanin to be utilized once more. ViTiX gel should be applied on the affected areas 2 times a day and it should be continued for 3 to 6 months, preferably in combination with phototherapy during the second and fourth months of use. ViTiX has ingredients such as vegetable extracts and strong antioxidants, and this is mainly why it works well in repigmenting the skin. If you encounter any side effects while using this gel, then immediately consult a doctor to manage the side effect and to prescribe another type of vitiligo medication.